Acuité Ratings believes that the Electronic National Agricultural Market (e-NAM) can play a vital role in strengthening the farm value chain and enhance the incomes of Indian farmers significantly. e-NAM is one of the important digital initiatives of the Central Government which can bring about the much-needed structural reform in the agricultural commodity market. In the opinion of Acuité, the successful implementation of a nationwide farm trade market will be more effective in improving farm incomes as compared to the hikes in Minimum Support Prices (MSP) of agricultural commodities or frequent farm loan waivers. Additionally, the government can take steps to facilitate the development of agro-based industries which can augment incomes of rural households significantly. In the opinion of Acuité Ratings, a nationwide reinforcement of the e-NAM system through the appointment of third-party assayers will make it significantly more effective. One of the key reasons for the low level of activity in the digital platform is the lack of trust on the quality of agro commodities being traded. 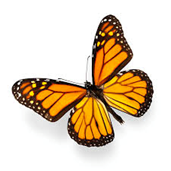 Since there is no standardized methodology for independent assessment across APMCs, a licensed assayer system can be implemented at the central level. Under that system, cultivators can take third party assessment certification from licensed assayers and trade their produce online. Buyers on the other hand can offer a price based on the certification – obviating the need of physical inspection at the site. The digital transaction and contract between buyers and sellers based on a standard quality certification and settled through the respective APMC will optimize demand-supply equilibrium and free Government machinery of wasteful monetary interventions. With the rapid penetration of the digital platform pan India, we see a normalization of agro based commodity prices taking place across states – thereby leading to better management of inflation and consolidated fiscal position. Additionally, the system’s success will also need to be driven bybetter logistics and better interstate movement of produce. According to Acuité’s estimates, the share of e-NAM in India’s total food grain distribution is only 5.8% on average since its inception in April 2016. This is surprisingly low as against the significant progress that has been witnessed in the implementation of significant digital initiatives namely Jan-Dhan, Aadhar and Mobile (JAM) along with successes in Direct Benefit Transfer (DBT). The lack of a pan-India agriculture trading platform has always been a structural gap in our economy which has continued to lead to frequent demand-supply mismatches for the farmers, volatile agro-commodity prices and divergent inflationary trends across India. The volatility in agro-commodity prices across states has also been a key factor in divergent inflation trends in the country. A comparison of the combined inflation among India’s 18major states and union territories reveals that the food CPI of November 2019 ranges widely between 2.9% (Bihar) and (-) 7.2%% (Andhra Pradesh). 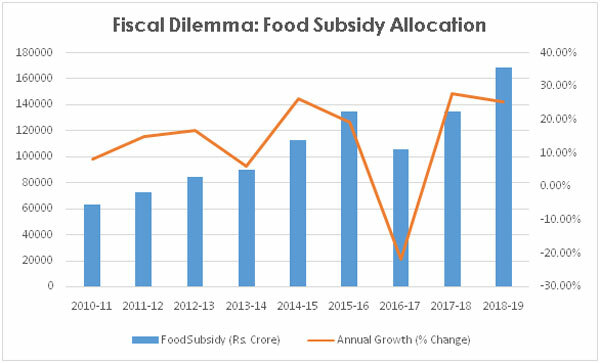 This is despite the Government of India’s 27% increase in food subsidy allocation for FY19, a substantial increase over the previous year’s rise of 21%. While the Government makes efforts to keep farm prices under control through market interventions and a regular MSP policy, the nationalization of the agro-goods market through an active e-NAM is a key imperative for the economy. e-NAM is an initiative that can bring about significant efficiencies in the agriculture eco-system and act as a double-edged sword to fight inflation and reduce fiscal burden, if well implemented. This way, the above two primary concerns that are potential spillovers of a consumption multiplier, can be addressed. Indian agriculture is at the crossroads. While the GDP growth in agricultural segment has been expanding by 3.4%over the past three years and is projected to be 3.8% in the current year, there has been a slow growth in farm incomes. Government of India has announced an average hike of 15% for 13 kharif crops in July 2018, which marks the highest increase since 2013; however,timely and adequate procurement by public agencies is a significant challenge. There is a critical need to increase farm incomes sustainably without any significant burden on the central and state fiscal position. Since India is a domestic demand driven economy, encouraging consumption is the key to macro stability. 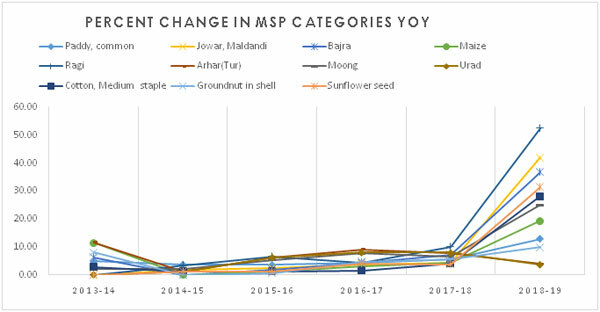 While a commiserate rise in Minimum Support Price (MSP) can aid higher income and hence higher consumption of the farm sector, it will happen only when the MSP meets its requirement of being an effective ‘floor price’. A pan India e-NAM platform operating on a floor price, set by the Government will guarantee fair prices for the farmers.